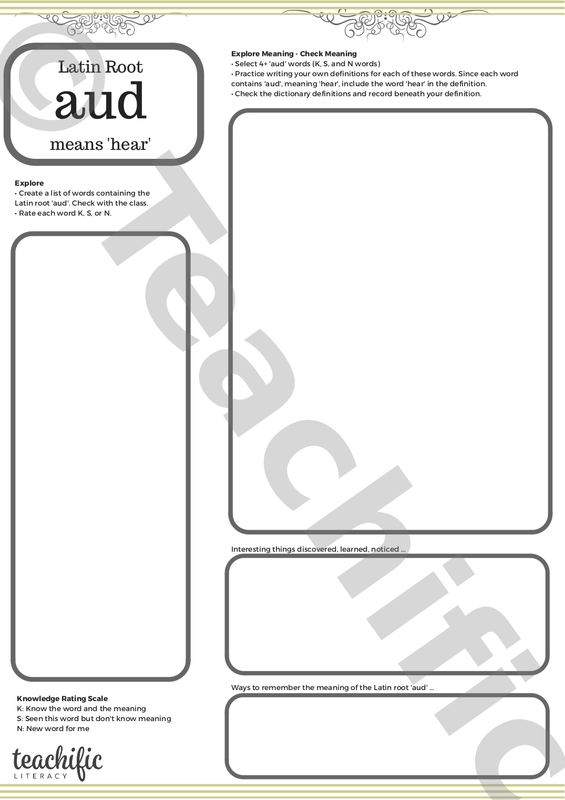 Greek and Latin Root thinksheets are one way to support vocabulary development as students explore root meanings and the wonder and history of English words. Find out more about possible teaching routines and mini lessons. 90% of English words with more than one syllable are Latin based. Almost 10% are Greek based. A single Latin root generates 5-20 English words. ACELA1526: Understand how to use knowledge of known words, word origins including some Latin and Greek roots, base words, prefixes, suffixes, letter patterns and spelling generalisations to spell new words including technical words.